The September 11th attacks killed about 3000 people. In the 16 years since those attacks, American police officers have killed 5 to 10 times that many. Statistically, police officers are more dangerous to Americans than foreign terrorists are. Some behavior by police even meets the definition of terrorism. Training has a huge influence on the behavior of police officers. Especially in situations demanding an immediate reaction, officers rely on the habits developed during training. In the past, the community hasn't had much say in what kind of training police officers receive. And so the training has focused much more on protecting police officers from members of the community than on protecting members of the community from police officers. While it is important to protect police officers, it is also important to protect the community. After all, that is the reason we have police. With the Police Accountability Board, the community will have a strong voice in determining the kind of training officers receive. Community safety will be valued at an equally high level as officer safety. Kayla Moore was 41 when she died in Berkeley Police custody. 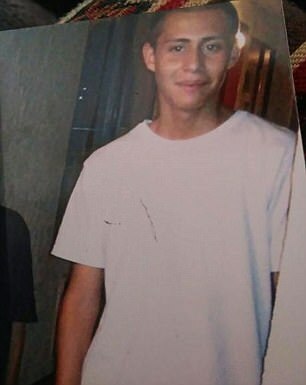 Armando Garcia-Muro was 17 when he was killed by LA Sheriff's deputies responding to a noise complaint. Police justified the killing by saying they had to shoot an aggressive pitbull dog. Pitbulls are often killed by police, even though a police officer is over 1000 times more likely to kill a human than a pitbull is. There are about 18,000,000 pitbull-type dogs in the United States, and they kill about 20 people per year. So a little over one in a million pitbulls kills someone in a particular year. And there are about 750,000 full-time police officers in the US, and the they kill about 1,000 people per year. So about one in 750 police officers kills someone in a particular year. Dividing 1,000,000 by 750 gives 1333 times more likely to kill. Statisically, standing near a police officer is more dangerous than being surrounded by 1000 pitbulls.